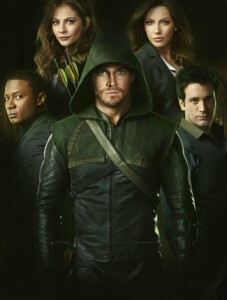 Check Out the Trailers for CW’s New Series, ‘Green Arrow’ and ‘Beauty and the Beast’!!! The CW has an interesting new slate of original series coming to their network this year. Two of those are a re-imagining of ‘Beauty and the Beast’, and the other is based on the superhero ‘Green Arrow’. Below are a few clips of the new shows. What’s your opinion? Detective Catherine Chandler is a smart, no-nonsense homicide detective. When she was a teenager, Catherine witnessed the murder of her mother at the hands of two gunmen. Catherine would have been killed too, but someone – or something – saved her. No one has ever believed her, but she knows it wasn’t an animal that attacked the assassins…it was human. Years have passed, and Catherine is a strong, confident, capable police officer, working alongside her equally talented partner, Tess. While investigating a murder, Catherine discovers a clue that leads her to a handsome doctor named Vincent Keller, who was reportedly killed by enemy fire while serving in Afghanistan in 2002. Catherine learns that Vincent is actually still alive and that it was he who saved her many years before. For mysterious reasons that have forced him to live outside of traditional society, Vincent has been in hiding for the past 10 years to guard his secret – when he is enraged, he becomes a terrifying beast, unable to control his super-strength and heightened senses. Catherine agrees to protect his identity in return for any insight he may have into her mother’s murder. Thus begins a complex relationship between Catherine and Vincent, who are powerfully drawn to each other yet understand that their connection is extremely dangerous for both of them. The series stars Kristin Kreuk (“Smallville,” “Chuck”) as Catherine, Jay Ryan (“Terra Nova”) as Vincent, Max Brown (“The Tudors,” “MI-5”) as Evan, Nina Lisandrello (“Nurse Jackie”) as Tess, Nicole Gale Anderson (“Make It or Break It”) as Heather, Austin Basis (“Life Unexpected”) as J.T., and Brian White (“The Shield,” “The Cabin in the Woods”) as Joe. BEAUTY AND THE BEAST is from CBS Television Studios with executive producers Jennifer Levin (“Without A Trace,” “Felicity”), Sherri Cooper (“Brothers and Sisters”), Bill Haber (“Rizzoli & Isles,” “Thurgood”), Paul J. Witt (“A Better Life”) & Tony Thomas (“A Better Life”), Ron Koslow (“Moonlight”) and Gary Fleder (“Life Unexpected”). That CW Green Arrow Project Has Just Been Greenlit For A Full Series!!! See the First Image of ‘Green Arrow’ In The CW’s New Series!!! This entry was posted on Thursday, May 17th, 2012 at 12:41 pm	and is filed under Comics, News, Television. You can follow any responses to this entry through the RSS 2.0 feed. You can skip to the end and leave a response. Pinging is currently not allowed. « Bryan’s Review of ‘The Dictator’!! !